Nutrition is so important when it comes to having a healthy goat! 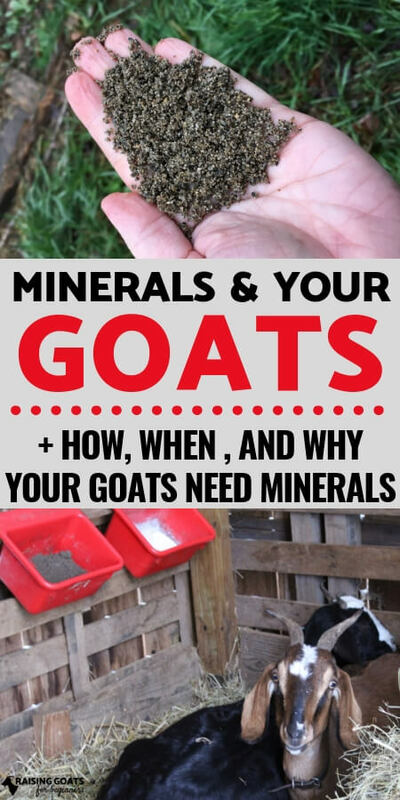 One of the most often overlooked parts of keeping your goat healthy and in proper nutrition is MINERALS. 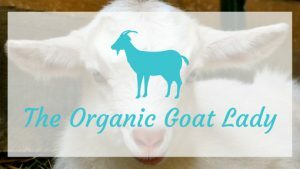 Today, Sarah is going to cover the basics when it comes to giving your goats minerals, including why your goats need minerals, what kind to feed them, and how to give them to your goats. 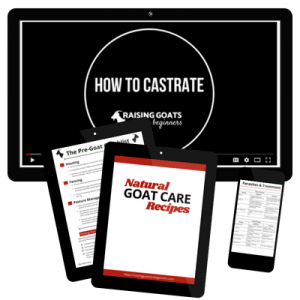 Baking soda is a digestive aid to help relieve gas pressure and reduce bloat which can happen when your goat eats too much or eats something they aren’t supposed to. I leave out an open source of loose minerals and baking soda in the same area, goats will generally just nibble on them when they feel so inclined and I haven’t had to otherwise forcibly administer them at all. 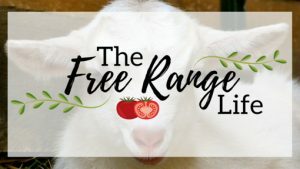 Goats are browsers and not grazers so I generally find that a feed with some variety is better accepted – they like to pick through their food for the best pieces rather than eat straight from a homogeneous food source. It can also be helpful to prevent bloating as your goat is less likely to stuff themselves silly on feed when they are taking the time to pick through it first for the pieces they like most. Hi.do do they also need grain every day, free choice? I have 20 acres of pasture, do I need to feed them hay too? No- they do not need grain full choice. Hay and forage should make up the bulk of their diet. Amount of hay will depend on season and forage availability. My name is Ntlakuso Guyu from south africa Limpopo province. 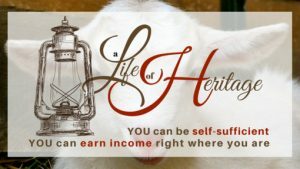 I would like your assistance with goats breeding. I started breeding goats this year 2019 January and I’m experiencing a serious problem of when I buy goats from other regions / areas they all die. I don’t know if it might caused by high hit temperature because my area is very hot, it can reach to 46 to 48 degrees hot temperature sometimes. Or maybe there might be something that I need to do to prevent my goats from dying. I kindly need your help.